Reuters: A powerful late-winter blizzard dubbed a “bomb cyclone” by meteorologists moved east on Thursday, hurling hurricane-force winds, tornadoes after dumping heavy snow on Colorado and the plains states and killing a state trooper. Though the storm was expected to carry less snowfall as it moves into the Midwest and the Great Lakes region, the National Weather Service and local officials warned of high winds and possible flash flooding from heavy rains. Iowa Governor Kim Reynolds issued a disaster proclamation in response to reports of flooding. A day earlier, the blizzard prompted the cancellation of more than 1,300 flights at Denver International Airport, closed government offices, schools and businesses and was blamed for the death of a state trooper. 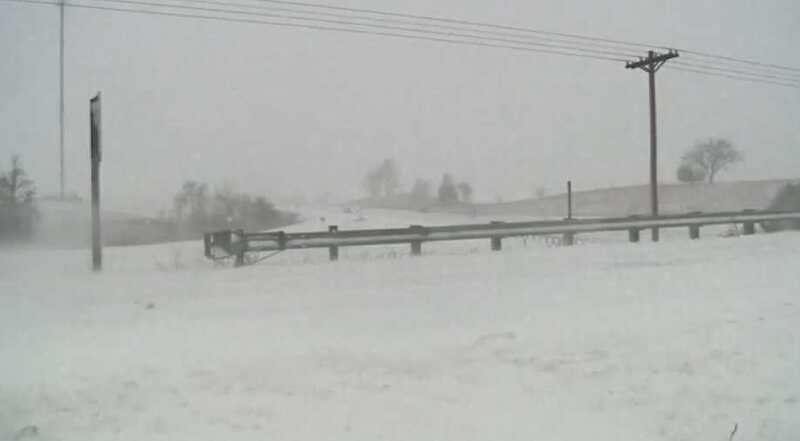 A state of emergency was still in effect in Colorado as cities and towns dug out from the storm, during which strong, 70-mile-per-hour (113-km-per-hour) wind gusts pushed tractor trailers sidewise and left up to 2 feet (0.61 m) of snow in some areas. The Colorado State Patrol said one of its troopers, 52-year-old Corporal Daniel Groves, was killed northeast of Denver when a car veered out of control and struck him as he was helping the victims of another car accident. Tornado watches were issued in parts of Arkansas, Mississippi, Missouri and Tennessee on Thursday. Tornado warnings were also issued in parts of Illinois, Kentucky, Ohio and Indiana. An AccuWeather meteorologist said on Thursday on Twitter that at least one tornado had formed near Evansville, Indiana. The storm also caused flash flooding across the Plains and Midwest states, the NWS reported. Residents in Norfolk, Nebraska, were issued evacuation orders on Wednesday after the Spencer Dam at the Niobrara River was reported to have failed, according to the Lincoln Journal Star newspaper.